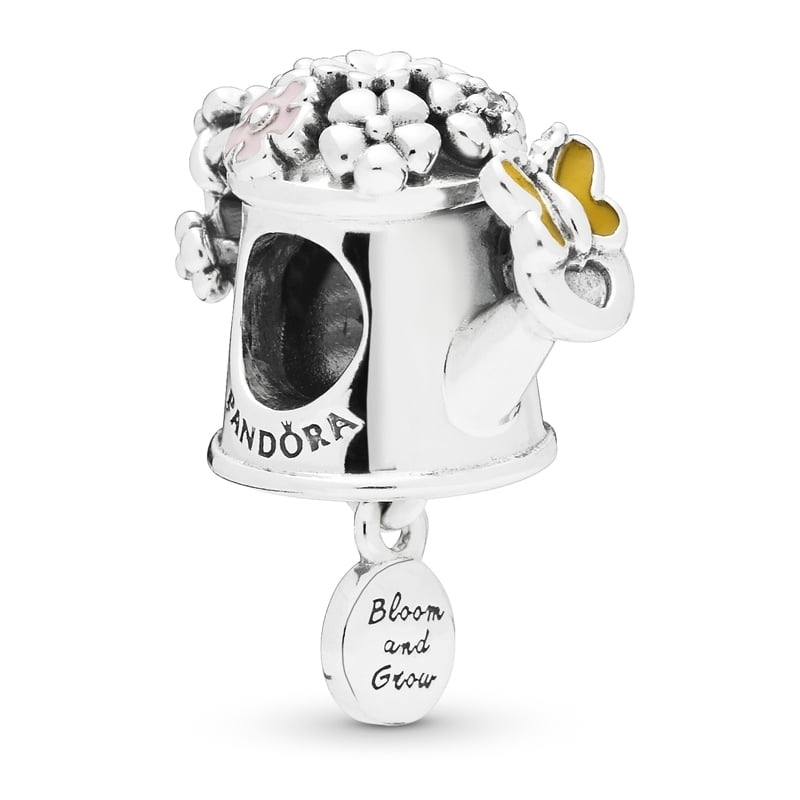 PANDORA Blooming Watering Can Charm. Made from sterling silver, this delightful charm is perfect for those who love to get out and about in the garden. Inside the watering can is a mixed bouquet of silver and enamel painted flowers and attached to the bottom of the can is a secret message "bloom and grow"